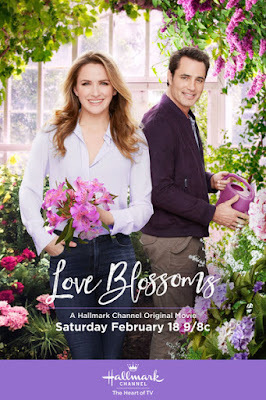 "Love Blossoms" - a Hallmark Channel Original Movie starring Victor Webster & Shantel VanSanten! Storyline via Hallmark: Perfumer Violet is desperate to formulate her late father’s unfinished signature scent. Under great pressure to finish by Valentine’s Day, Violet hires an inexperienced botanist with an uncanny ability to identify scents. It’s not long before their professional relationship turns romantic, threatening their deadline and feelings for each other. This is an ARCHIVE of the 2017 Family TV Schedule. On this page you will (eventually) find the entire schedule - archived from January to October, 2017! 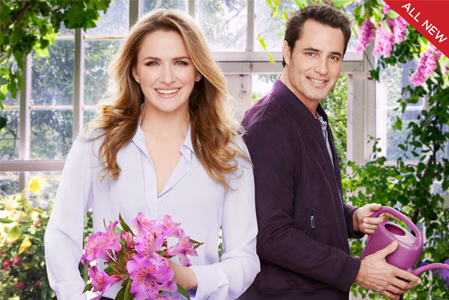 Click Here for the current, updated Family TV Schedule! 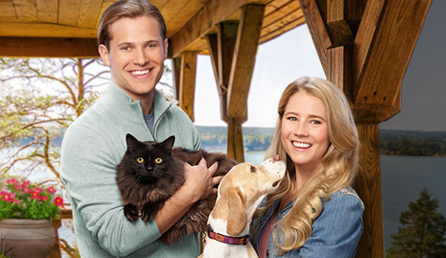 *When Calls the Heart - Season 4 continues Sunday nights on the Hallmark Channel! 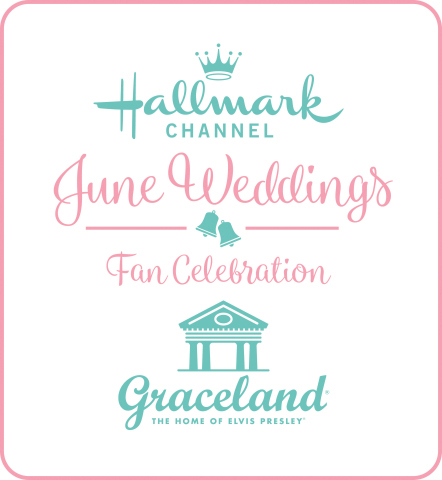 *June Weddings - Press Release. 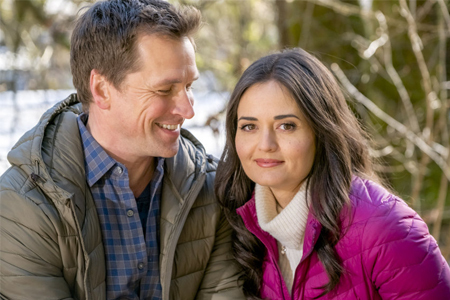 *It's Gold Crown Christmas Week on Hallmark Movies & Mysteries + Christmas Keepsake Week on the Hallmark Channel! 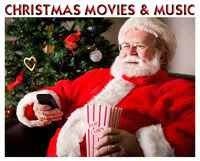 I've also included/archived the entire Christmas in July schedule below! 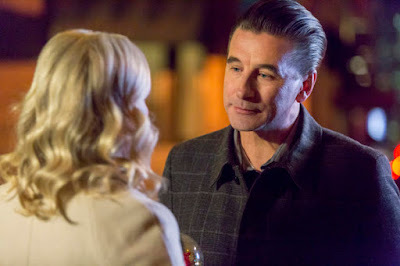 Gold Crown Christmas on Hallmark Movies & Mysteries (HMM) Begins! Christmas in July Begins on TCT! 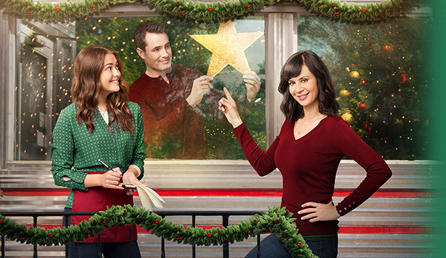 Christmas Keepsake Week Begins on the Hallmark Channel- joining Gold Crown Christmas on HMM! 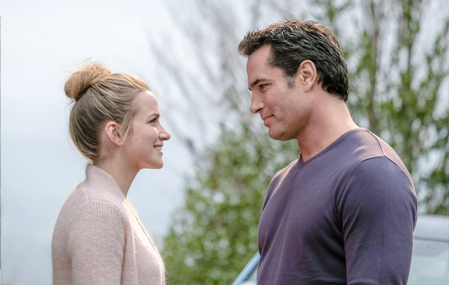 Christmas Keepsake Week on the Hallmark Channel comes to an End! Thank you for checking out the schedule archive. 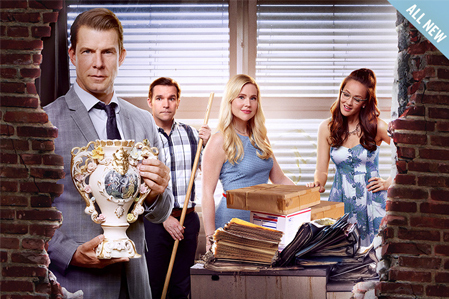 Or... visit the upcoming TV Movie List - Here! 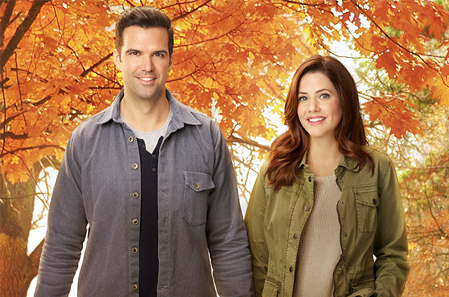 Or... visit the Archive of the Christmas TV Schedule from October thru December, 2017 - Here! 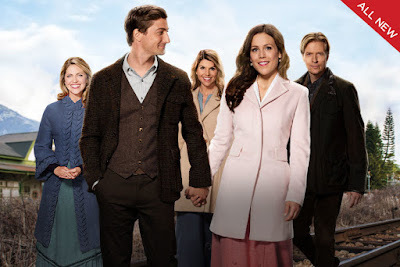 Love Hallmark Movies? 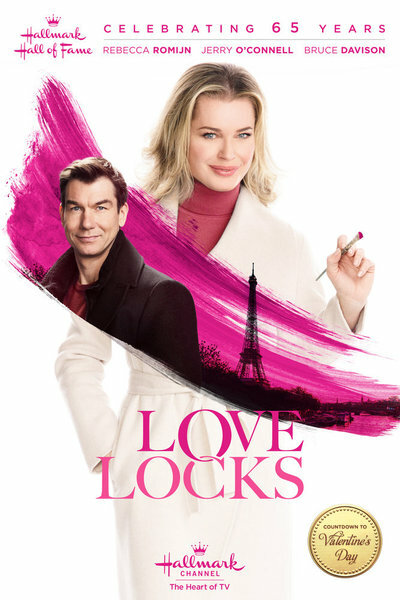 See the First "Countdown to Valentine's Day" Movie "Love Locks" this Weekend! 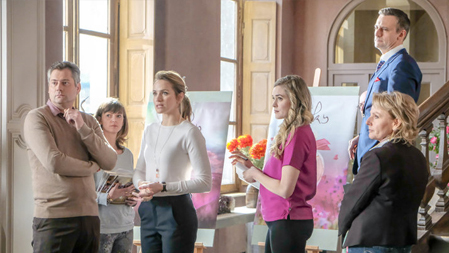 See the premiere of "Love Locks"
and Hallmark Movies & Mysteries - at the same time! "Countdown to Valentine's Day Schedule"
Hope you all have a LOVE-ly last weekend in January! "Turner Classic Movies pays tribute to Debbie Reynolds on Friday, January 27 with the following festival of films. This program will replace the previously scheduled movies for that day so please take note." One of the first movies TCM is playing in the morning, "Bundle of Joy," based on the Ginger Rogers movie "Bachelor Mother," is also a delightful Christmas and New Years Movie, which co-stars Debbie's first husband, Eddie Fisher. 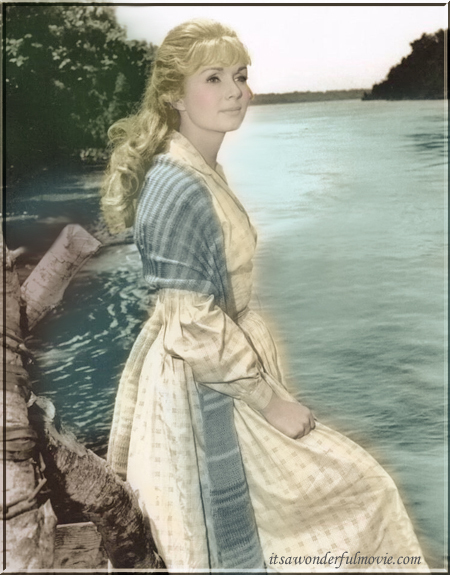 And, I must share the role Debbie Reynolds is most beloved for. Watching is sure to put a smile on your face and joy in your heart! I hope you can watch some of this wonderful musical movie tribute for Debbie Reynolds on Friday January 27th on TCM... as we say goodbye to another leading lady from Hollywood's golden age. 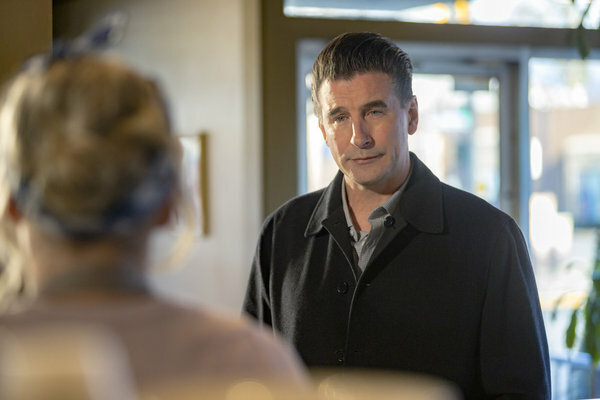 "Valentine's Again" - Hallmark Movie Update! behind the scenes on "Valentine's Again"
Lately, I have been receiving lots of questions, comments and speculations regarding the movie, "Valentine's Again." 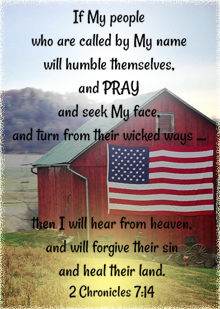 I created this post to (hopefully!) answer your questions - the best I can! 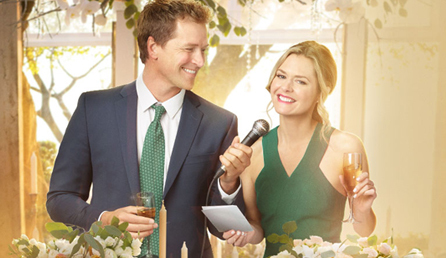 Yes, this movie was pulled from the Hallmark Channel "Countdown to Valentine's Day" line-up. 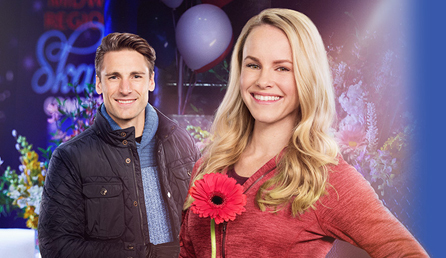 And, Yes, it was previously scheduled to premiere during the "Countdown to Valentine's Day" event. I spoke directly to Hallmark and was informed the movie will not be airing in February. 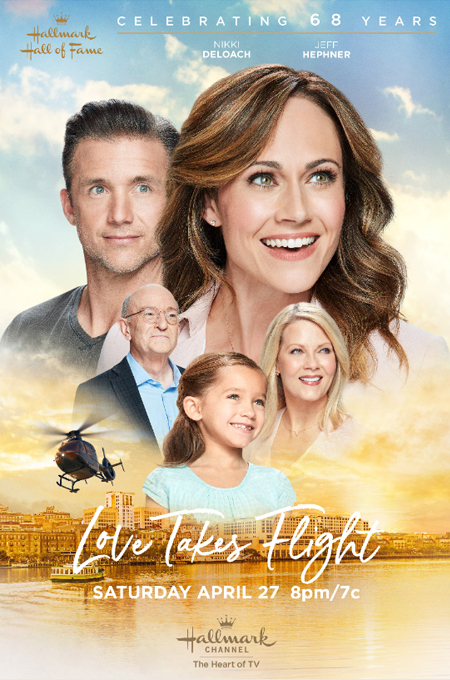 At this time, no reason or alternative air date has been released, yet, but they will let us know when a decision has been reached. 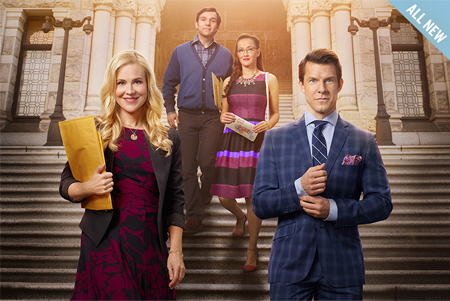 Thank you all for faithfully following here at It's a Wonderful Movie! 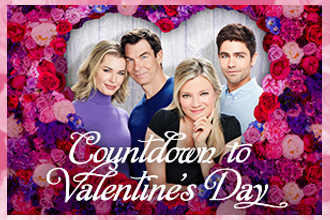 If you would like to see what is airing during "Countdown to Valentine's Day" on the Hallmark Channel, click HERE! 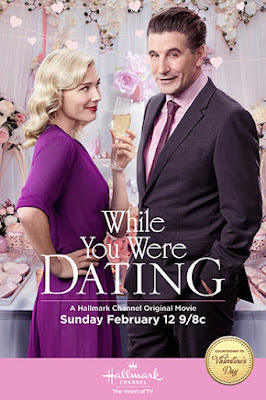 "While You Were Dating" -- a Hallmark Channel Original "Countdown to Valentine's Day" Movie! Storyline via Hallmark: A divorced couple meet online and end up going on a blind date together. 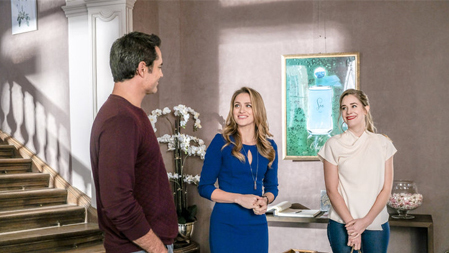 After an awkward reunion, they decide to set each other up with their friends, but old habits never quite die. 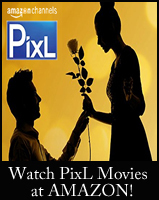 "A Moving Romance" -- a PixL Original Movie! 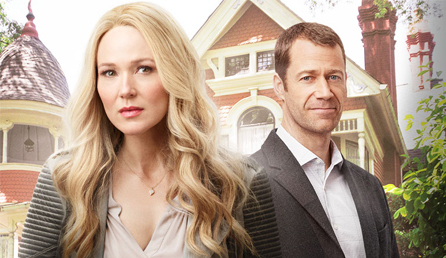 Storyline via PixL: Interior designer Olivia Wilson (Ambyr Childers) loses her job in New York. 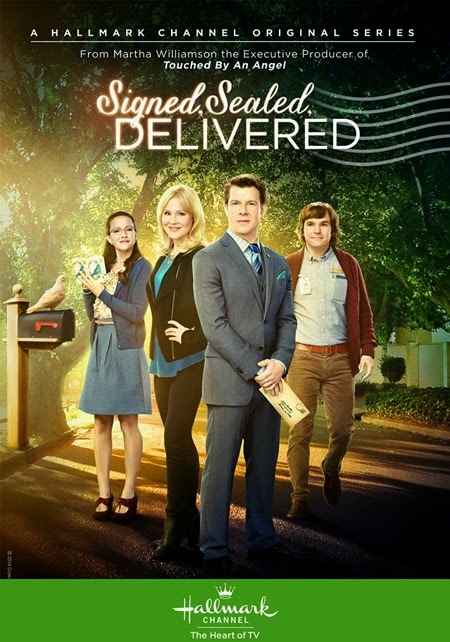 With newfound time on her hands she decides to head home to California to surprise her dad, Neil (Jim O’Heir) for the 25th anniversary of the family business, Wilson Family Movers. 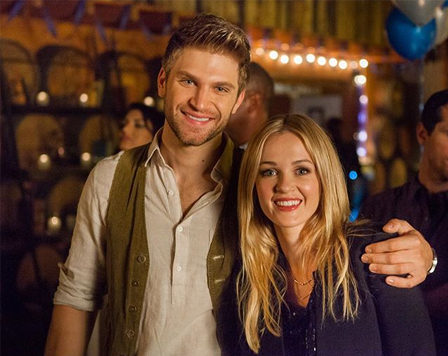 Upon arrival she meets the newest member of the Wilson team, Scott (Keegan Allen). 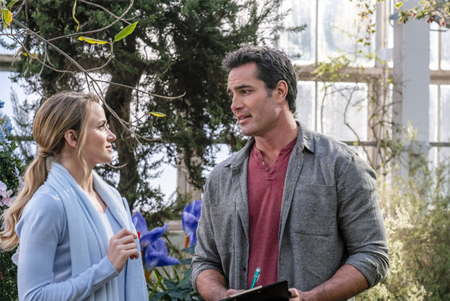 With business coming to a halt, she and Scott work together to get things back on track. 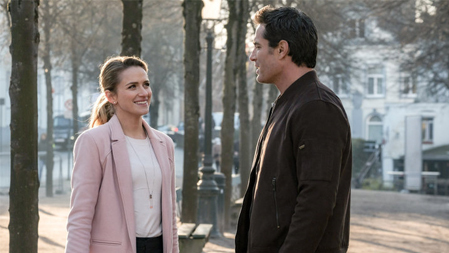 Just as the two begin to form a bond, Olivia is faced with a difficult decision when a worthwhile job opportunity pops up back in New York. 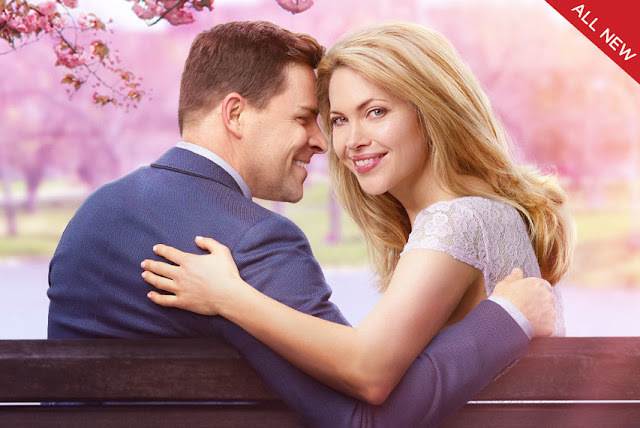 Hallmark's Countdown to Valentine's Day Movie Schedule - February 2017! 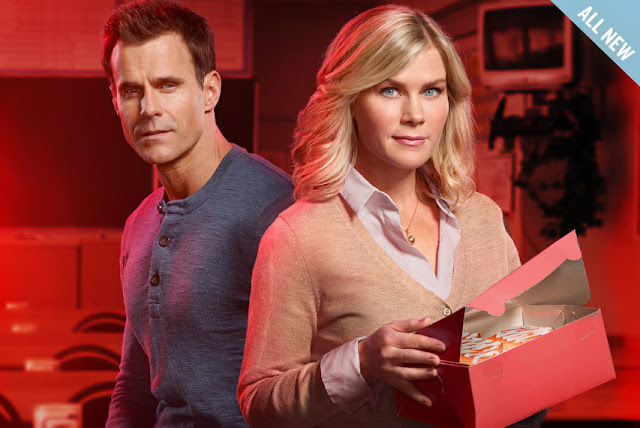 For OVER TWO WEEKS leading up to Valentine's Day, the Hallmark Channel is giving us nightly - Romantic, Love-themed movies, including FIVE ALL NEW PREMIERE "Countdown to Valentine's Day" MOVIES, plus a New Valentine themed Movie the following Saturday! 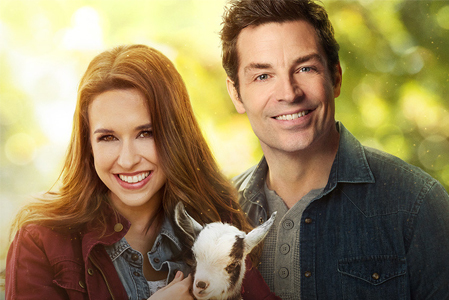 What a LOVE-ly gift for all viewers who LOVE Hallmark movies!!! 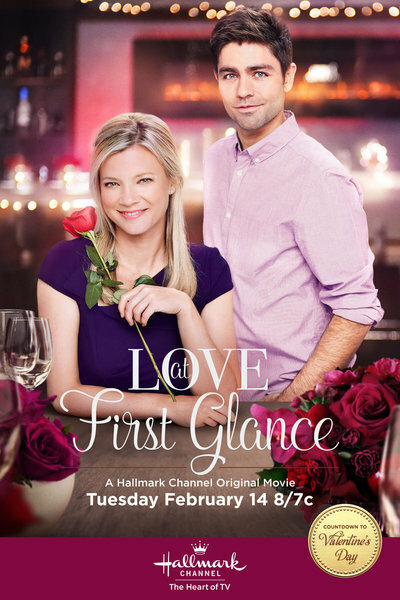 Please Note: The movie "Love at First Glance" is the only premiere that begins at 8pm/7c., and please be sure to check back here for any updates or additions to this schedule above! A woman returns to Paris after 20 years and begins a journey of romance and rediscovery when she reconnects with her college boyfriend and first love. 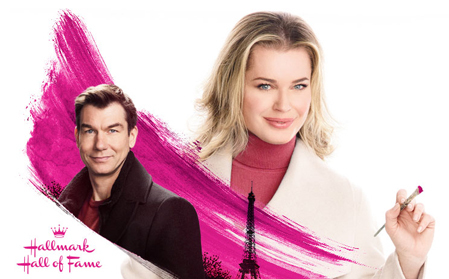 This Hallmark Hall of Fame presentation stars Rebecca Romijn and Jerry O'Connell. 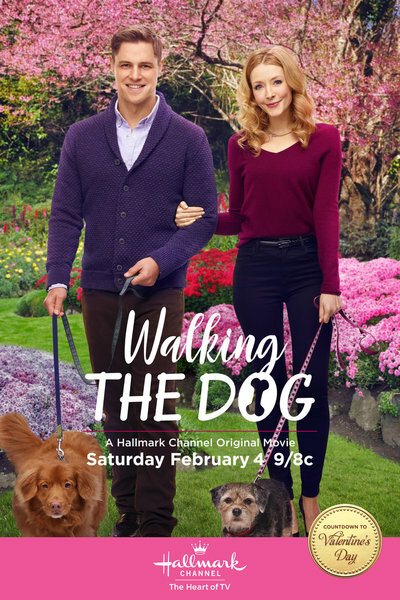 Rival lawyers battle each other in court as their respective dogs fall madly in love, bringing their guardians together at every turn until they reluctantly realize it may not just be the pups who are each other’s true Valentine. Stars Jennifer Finnigan and Sam Page. 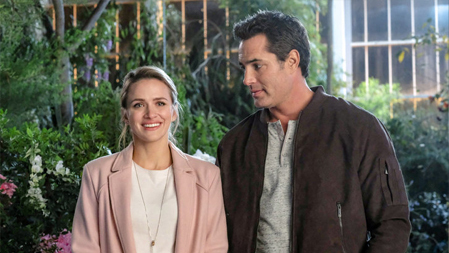 When an aspiring chef lands an assistant job at her idol’s restaurant, she's convinced her big break is just around the corner. 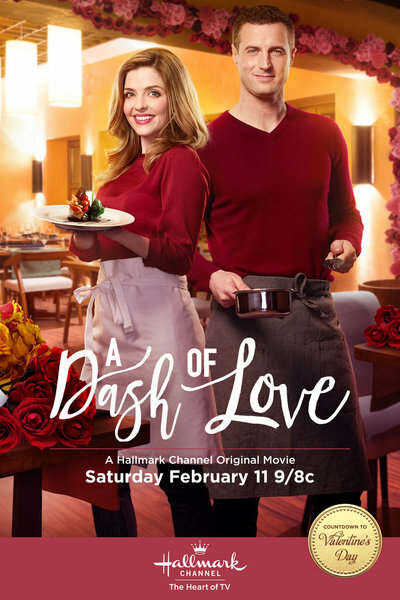 After a rocky start, she befriends the handsome executive chef and they begin bonding in the kitchen. 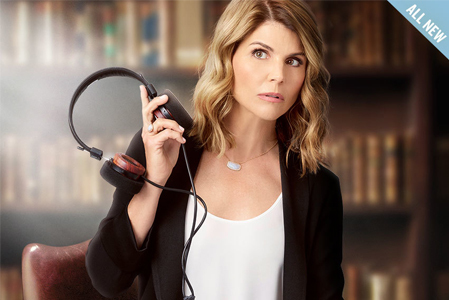 But her joy is short lived when she discovers her idol’s stealing her recipes and fires them both to protect her secret. Together, they set out to create their own pop up restaurant and discover the most important ingredient is love. 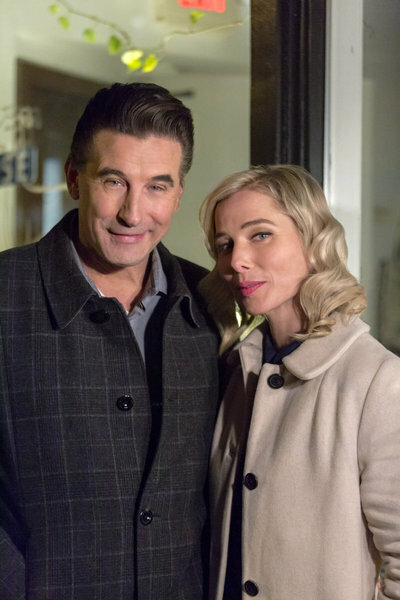 Stars Billy Baldwin and Stefanie VonPfetten. 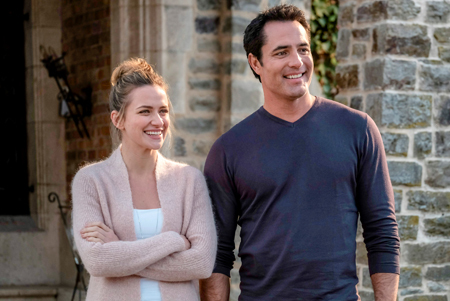 A young woman’s hope for an engagement is upended unexpectedly when her fiancé tells her he is looking for someone more adventurous. On her train ride home, she finds herself trading glances with a handsome stranger who, as he exits the train, leaves his phone behind. As she endeavors to return the phone, she finds herself on a journey of self-discovery. Stars Amy Smart and Adrian Grenier. Perfumer Violet is desperate to formulate her late father’s unfinished signature scent. Under great pressure to finish by Valentine’s Day, Violet hires an inexperienced botanist with an uncanny ability to identify scents. 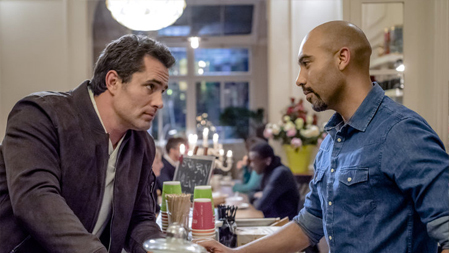 It’s not long before their professional relationship turns romantic, threatening their deadline and feelings for each other. At first glance, which movie do you think you will love this Valentine's day?